Earth Day Celebration and Promotions! Our favorite day is here! Happy Earth Day! Every year Earth Month reminds us how far we have come in changing our consumption habits and living a more sustainable life. Earth Day is April 22nd and we sure hope you celebrate! Since most straws are used for only a couple minutes of enjoyment and then tossed in the trash, we chose over 11 years ago to do something about it. It was our ACTION we chose to take. We chose to make an alternative to plastic straws, something beautiful and reusable. While seeming small relative to the larger single use plastic problems, our glass straws have been shipped around the world and have been directly responsible for thousands of conversations about reducing single-use plastics and they have prevented hundreds of thousand of plastic straws from being used. Plastic straws have been banned in many cities all over the world. This has directly helped the conversation around single use plastics take the world wide stage. Earth Straws on sale for only $2!! *Note: this is a better discount than what is being offered on our website so be sure to use this coupon code. Earth Straws are great for kids and there little cups! They are also great for tea and cocktails! FREE Earth Straw with every $25 Purchase! $100+ gets Free Set of 4 Earth Straws with Cleaning brush. *No limit, you just need to make a qualifying purchase of $25 per free straw! Summary: In 2016 I bought my first glass straw from Glass Dharma. I bought it because I suddenly couldn’t drink smoothies or iced coffees from a plastic straw without being plagued with that all too familiar sense of environmental guilt. With each sip, the plastic straw between my lips became increasingly more repulsive. When I first began using my new glass straw in public, I realized that it served not only as a sustainable alternative to plastic, but as a great conversation starter. People would see my straw and ask me, “What is that?” “Where did you get it?” and “Why do you use that?” I was presented with so many perfect opportunities to talk about one of my favorite subjects: consumer consciousness. People were curious about my glass straw, so I would tell them about the environmental costs of single-use plastic, and the power that we as consumers have to reduce its production. Now, two years later, I have completely eliminated my consumption of single-use plastic straws. By investing in a glass straw I’ve made drinking smoothies significantly more enjoyable, decreased my carbon footprint, and engaged countless people in sustainability dialogues. No no no no please don’t--- I don’t need one of those actually, thank you. Yes, I’m sure I don’t want one, go ahead and take it back. I brought my own with me. I’m serious! It’s in my purse, I’ll show you. I keep it in this little hemp pouch to protect it. See? It’s cute, right? Now I’ll go take these back. Yes, both of them! Come on, you care about the sea turtles right? Well then give that to me, it’s time for you to stop sucking. Yes, stop sucking!!! By 2050 there will be more plastic in the ocean than fish. I know it doesn’t seem like that big of a deal to use that one plastic straw, but it is a big deal! Each plastic straw that you use will take up to two hundred years to decompose. Do you see why that’s a big deal? Make sure to take advantage of this amazing deal! We set up a sweet eco-friendly gift package for you! 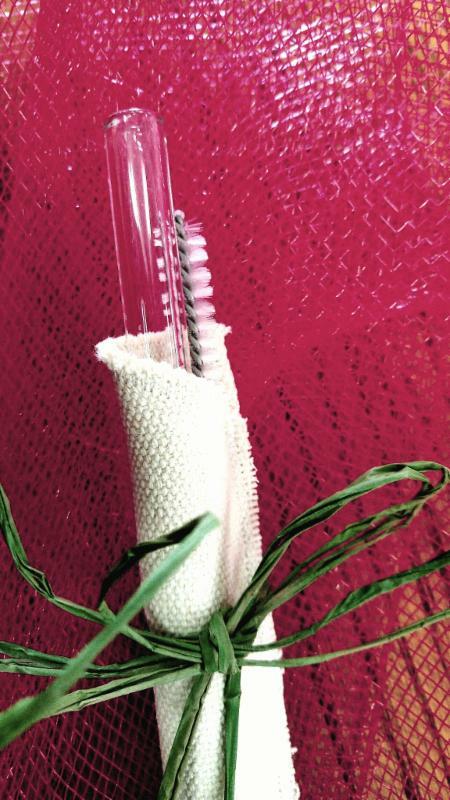 Order any straw up to 7" long and a brush and get a free Shorty Cream color hemp sleeve as pictured by writing in the comments "Free hemp sleeve". Simple Elegance 7mm x 6.25"
Decorative Dots 7mm x 6.25"
Lid Straw 8mm x 7"
Simple Elegance 9.5mm and 12mm in 6.25" and 7". We recommend these straws for cocktails, children and even tea and coffee! There is a perfect straw for everyone! **Sets of 4 of any of the above would also qualify for a free Shorty hemp sleeve in Cream color with a request in the Comments section. Set of 4 was $29.99 - now ONLY $15.00!! Through the years, GlassDharma has strive to produce the best quality glass straws possible. Needless to say - that in that process of training employees, we have accumulated quite a few straws that did not pass our stringent QC standards. We refer to them as OJT straws (on the job training). For many it would be hard to tell why they are considered seconds! that all of our industry leading straws go through! They ARE guaranteed not to have any cracks. They are structurally just as durable and safe as our regular straws. You are welcome to purchase more than 1 set as long as supplies last. This bundle does not include a cleaning brush but can be added to the cart by selecting "Continue Shopping" and then "Accessories"
These straws DO NOT come with our satisfaction or breakage guarantees. All straws are sold as is and do not include boxes. All sales of cosmetically challenged straws are final. Our favorite month is here! We are so excited to announce this year’s Earth Day contest! In addition to FREE Earth Straws, we will be holding a contest and you will have the chance to win a gift basket of PRIZES! You probably know by now that 500 million straws are used and discarded every day in the United States alone. That’s 175 Billion a year filtering into landfills and littering our waterways and oceans *TheLastPlasticStraw.org Most of these straws are used for only a couple minutes of enjoyment and then tossed in the trash. All around the world individuals, companies, non-profits and even governments are working to ban single use straws! We are all chipping away at this problem from every angle and it is working! This year we were thinking of how helpful it would be to have more multi-media (videos and graphics) to share with information about single-use plastic straws. SO, we will be hosting a month long contest, collecting submissions of informational videos and or graphics. We will choose 1 Grand Prize winner and 2 Runner-Ups. We will also feature these winning submissions along with others that inspire us on our website, social media and newsletter campaigns. Please join us in helping spread the word about the negative impacts of plastic straws and how we can change our habits! 3. Submit YouTube link and/or graphic file by emailing them to earthdayglassdharma@gmail.com. Please include your full name and mailing address (See below for international submissions). 4. Bonus: Share to social media: Either Facebook, Instagram or Twitter. You have to tag @glassdharma and use hashtag #GlassDharmaEarthDay2017. 5. Be received by 4/30/2017 **extended deadline**. * There is no limit on entries. For example, you can enter multiple videos and/or multiple graphics - each will be a separate entry. * For international participants we will award 2 $75 GlassDharma gift certificate to our favorite video and favorite graphic submissions! * We will announce the winners by May 1st and ship the prizes/email gift certificates the first week of May. GlassDharma was founded on the idea of starting with something small, simple and ordinary: a drinking straw! Replacing this one everyday single-use plastic item with a reusable alternative has become a “teaching tool” that inspires many to make a switch toward reducing waste and eliminating the need for plastics in general. GlassDharma’s vision of a clean planet and healthy environment for all who live here is reflected in every straw we sell. Please join us in our call to end single-use plastic straws by participating in our Earth Day contest! 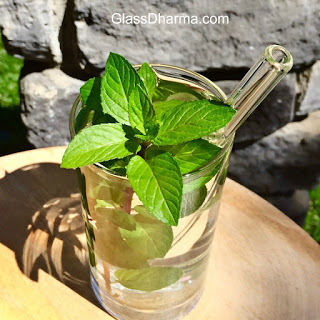 Celebrating GlassDharma's 10 Year Anniversary & the Birth of the Glass Straw Industry! Wow! 10 years! It is not very often that someone can say they created a whole new industry but look what happened! We started GlassDharma 10 years ago, put up the first website for glass drinking straws and now there is a whole industry of glass drinking straws being made all over the world! GlassDharma has actually shipped straws to over 60 countries! We are proud of what has evolved and very grateful to all of our loyal customers both retail and wholesale. Thank you, thank you, thank you! We are even grateful to our competitors who took our lead and decided that they also wanted to make a difference by providing a sustainable product that would help to replace single-use plastic straws! For every glass straw that is purchased, 1000's of plastic straws are kept from our landfills and oceans. Did we really make the very first glass drinking straw? No, there were actually glass straws used in the medical field as far back as the early 1900's. Here is a picture of very fragile antique straws from around the 1950's. There was a movie made in the 1940's with Humphrey Bogart called Dark Passage where he plays an escaped convict who has plastic surgery on his face. There is a scene where he uses a glass straw to drink while his face is all bandaged. These straws were most likely made from soda lime glass and were not very durable. We are often asked how did we get the idea for glass straws. We credit our beginnings to Living Light Culinary Institute who approached Pacific Glassworks (formerly MacNeil Glass) in Fort Bragg, CA to make glass drinking straws for their students to have a reusable and sustainable straw. David Leonhardt, a long time glassblower and new to Fort Bragg, was asked by Terry Anderson, the owner of Pacific Glassworks to "be the show" on Saturdays. He noticed the glass straws and immediately saw a use for them to replace plastic straws and help cut back the plastic pollution caused by single-use plastics. Terry gave her blessings on David taking glass straws out into the world and GlassDharma was born! In addition to starting a whole new industry, GlassDharma is very proud of creating the lifetime guarantee - if your straw breaks, for any reason, you can have it replaced for free (not including shipping). How unusual is that? We started this because most people assumed that if they had a glass straw, they would just break it immediately. We wanted people to see how durable our straws really are. We often say that they are made out of borosilicate glass, the strongest that is commercially available - the same as vintage Pyrex®. Yes, if you drop them on tile, they will probably break. We have noticed that some people choose not to take advantage of our guarantee when they know that any glass would have broken in certain circumstances - we leave it up to you! We are always delighted when someone makes additional purchases with their replacement straw! Apparently, this is such a good idea, a number of other glass straw makers have subsequently also offered some kind of guarantee. Packaging is another area where GlassDharma has excelled! We have made great efforts and expense to develop packaging with no plastic but still protective. Both our Online packaging for website sales and our Brick & Mortar packaging are free of any plastic, made from recycled corrugated cardboard and chipboard. Our hemp sleeves and Family Pack Carriers are in 100% compostable cellophane sleeves. When orders come in that request no plastic in the packaging or shipping materials, we say, "Of course!" We truly do want our customers to be delighted with their GlassDharma straws and have very liberal policies. We treat you how we would want to be treated and often go even a bit farther. 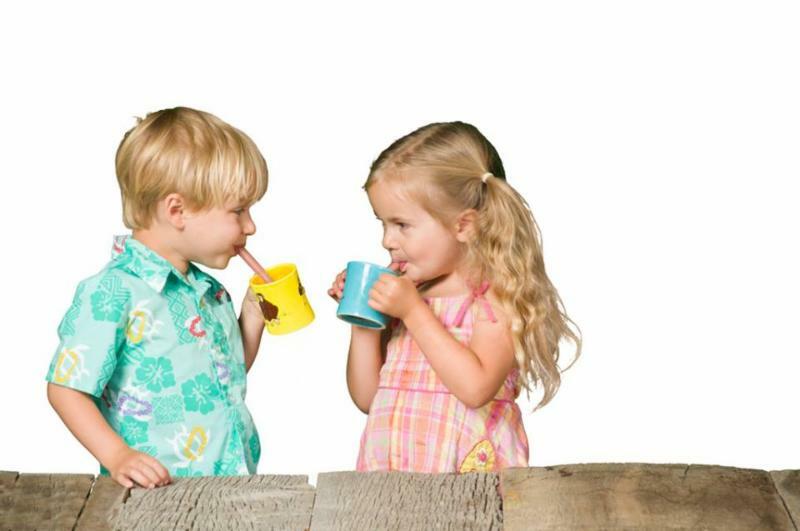 We hear from our customers daily on how impressed they are and how much they love our straws! Even when we make a mistake, we often hear how much people appreciate our customer service! This is a Sanskrit word that has a various meanings. In our case we are using "right way of living" or "path of rightness" which also relates to higher purpose. We feel that taking care of our bodies and the planet is the right way to live and we offer GlassDharma straws with this purpose as well as serving as an educational tool to build awareness of alternatives to single-use plastics. * Starting on March 1, 2017, for the whole month, we are reducing all straw pricing 25% for both website sales and wholesale purchases! * We are also offering weekly giveaways, which will include products from various partners as well as some GlassDharma gift certificates. Read below to find out how to receive a FREE Glass Straw! 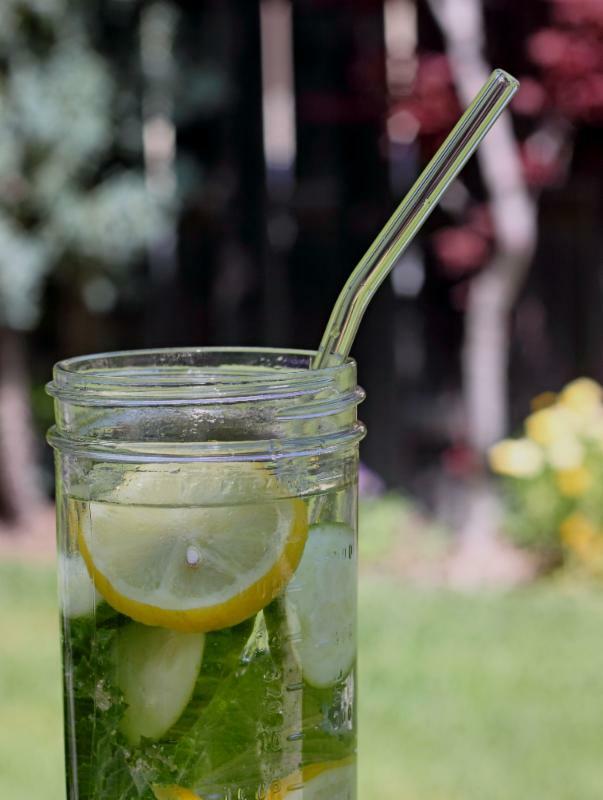 GlassDharma is the maker of the original glass drinking straw. Ten years ago we introduced highest quality borosilicate glass drinking straws to the world as an alternative to single use plastics and as a conversation starter about sustainable lifestyles. Since then, we have prevented hundreds of thousands of plastic straws from entering waste streams worldwide and contributed to countless hours of peer-to-peer conversations about disposables, reusables and ways to make a difference. We are excited to join forces with Olivia and Carter Ries, the founders of ONEMOREGeneration.org, and to promote their OneLessStraw pledge campaign. This campaign is asking individuals, schools and businesses to join them in taking a pledge to not use or accept plastic straws for the month of October. The OneLessStraw campaign strives to educate the public about the dangers of single use plastic straws and how they affect our health, our environment, and our oceans. Join us and help keep plastic drinking straws out of our landfills, our streams, our oceans, and off our beaches. * Take the OneLessStraw Pledge. * Encourage your favorite business or school to take the pledge and to only provide plastic straws on request. Also ask for them to use biodegradable or reusable options. * Become a Sponsor of the OneLessStraw pledge campaign. Go to OneLessStraw.org to download and submit a pledge form, get more information and get involved! As an environmental mission-driven company, it is our honor to partner with and support the OneLessStraw pledge campaign. We truly hope you join our effort and take the pledge!